Chris Carr Fine Art Photography is excited to announce the opening of Chris’ new art studio! He and his work will have a permanent showcase space in Studio C at Faith Arts Village Orlando (FAVO). You’re invited to the grand opening celebration on Friday, July 7, 2017, from 5:00 to 9:00 pm. The festivities coincide with FAVO’s monthly First Friday Art Show for July. So, along with Chris’ photography, you’ll have the opportunity to check out work from more than 30 other full-time FAVO residents and a number of guest exhibitors. Plus, there’s the FAVO Market, activities for kids, live music, food trucks, and other fun. If you haven’t seen it yet, FAVO is an amazing venue. 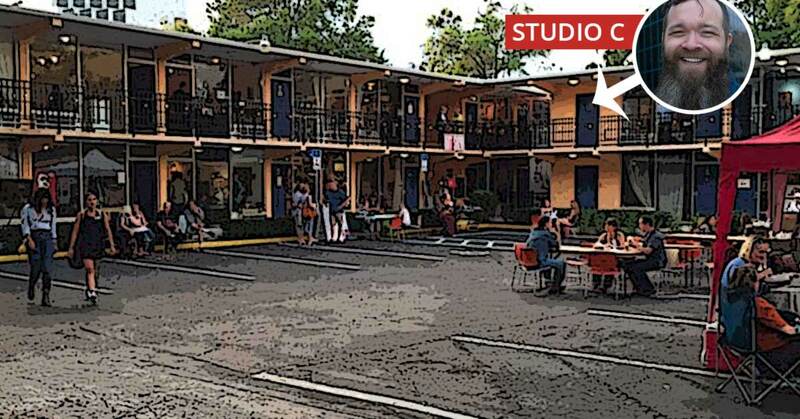 Located at 221 E. Colonial Drive in downtown Orlando, it was once the Davis Park Motel, built in 1957. It’s been lovingly converted into an artist community, with great care taken to preserve the building’s historic architecture and character. Please join us for the grand opening celebration! See you there! For more information about Faith Arts Village Orlando, its mission, its events, and its resident artists, visit the FAVO website. Don't miss any art shows or events featuring Chris Carr photography! Sign up for his monthly email.